Eliza Kennedy is the Manager of Marketing Automation who works within TTA’s Marketing Department. Eliza believes that by strategically creating brand awareness about TTA and their offerings, many organizations will benefit from TTA’s vast offerings. 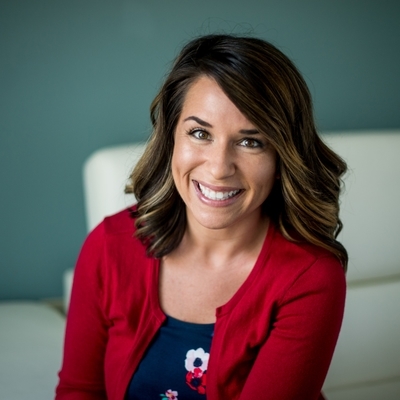 Eliza has 9 years of experience development, creating, and executing a wide range of marketing initiatives. Eliza holds a B.S. in Business Management with a concentration in Marketing & Advertising from Westfield State University. If I were to sing at Karaoke night I would choose “MmmBop” by the poetically gifted and incredibly talented Hanson. I love marketing, but If I had to attempt another profession I would love to be a farmer. Ideally the farm would be a sunny 72 degrees every day, bugs and snakes wouldn’t be a factor, nothing would need attending to until around 8AM, and I’d have weekends off. Since that’s not a real thing, I’ll stick with marketing. I would love to meet Steven Tyler from Aerosmith at Dunkin Donuts. I just have so many questions and would love to showcase my tone-deaf abilities in a round of MmmBop Karaoke. If I were a super-hero, I’d want to have the ability to teleport. I hate traffic, layovers, and airplane bathrooms. So, having the opportunity to travel quickly would be amazing. My favorite thing about my career is how it is always evolving and allowing for new and creative ways of thinking. Most marketing initiatives require some degree of strategic thinking, enthusiastic vision, and clever imagination. Being able to strategically create is what makes me tick.